The boat has been sitting in an open storage yard since January 2018 and needs a good cleaning to restore it to it's charter condition. Trailer is not registered and included with the boat. Upholstery needs a good cleaning but appears to be in otherwise good condition. Stock #152842 Excellent Condition, Complete Refit for tours. excellent turn key opportunity for a captain. 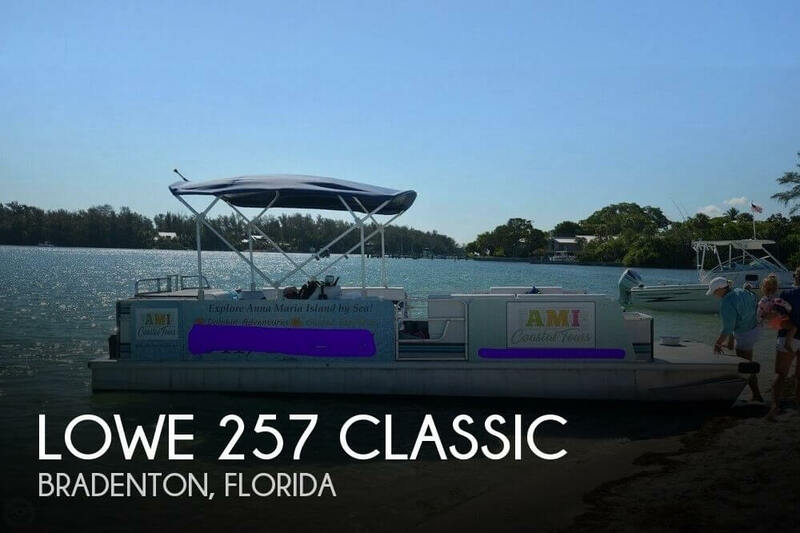 If you are in the market for a tour boat, look no further than this 1992 Lowe 257 Classic, just reduced to $20,000 (offers encouraged). This boat is located in Bradenton, Florida and is in decent condition. She is also equipped with a Yamaha engine that has only 0 hours. Reason for selling is closed charter business.